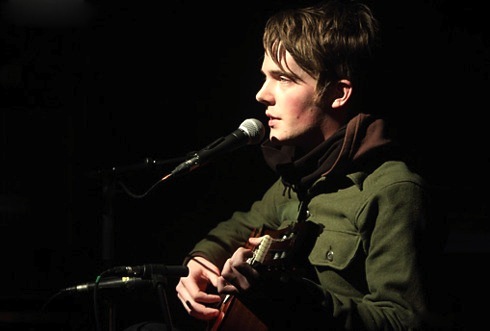 Benoît Pioulard is the artistic alter ego of American singer songwriter Thomas Meluch, who, despite the quality of his musical endeavours, still remains relatively unknown. Based in Portland, Oregon, he always goes around carrying a one-track tape recorder he uses to sample all the sounds that surround him. He then uses these samples to create dreamy songs that are always wrapped in a hazy whir of nature and tape decay. On his latest album, Lasted, besides his usual mix of guitar and samples, Meluch lets his voice take on a more prominent role in the songs. The vocal numbers are interspersed with instrumental interludes, some pretty immediate, some more abstract, but all imaginative and personal. As a bonus, see what Oregon-based Small Sails did with Pioulard’s “Kids Are Getting Younger”, taken from the Enge EP (2005, Moodgadget).